This project was funded on 10 Oct 2017! 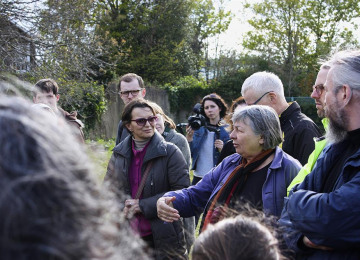 RUSS is a community land trust run by volunteers passionate about community-led affordable housing. 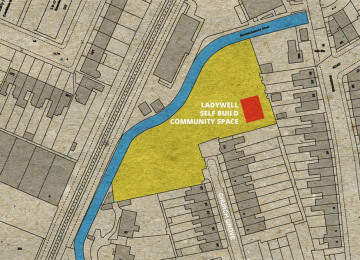 Our self-build community space will be built on the site of RUSS’s first housing scheme on Church Grove in Ladywell. Our project has 3 parts: 1. 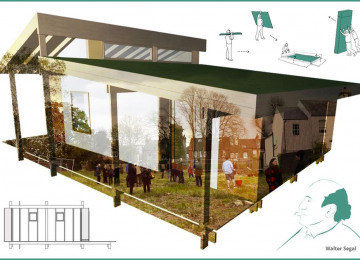 We will offer opportunities for local people and volunteers to participate actively in a sustainable construction project through the building of the community space itself. 2. 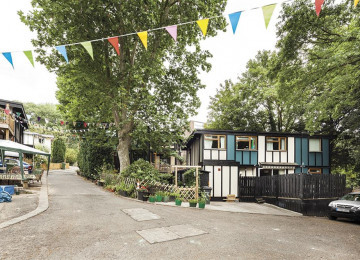 Once built, the space will host the School of Community-led Housing piloted by RUSS and become a knowledge hub to share and inspire other communities in self-building and affordable housing projects 3. 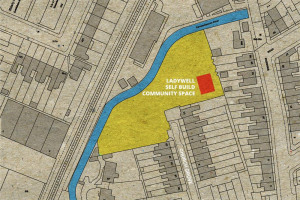 We will use the space to test ideas and consult with the Ladywell community on our future goal of a permanent community space that can bring new residents and the existing community together. 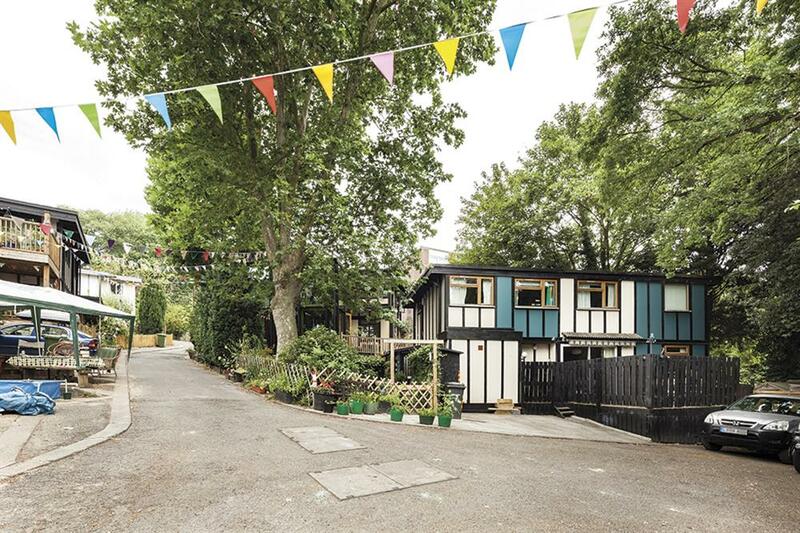 Lewisham Council support our project & we will be applying for planning permission shortly. In the unlikely event we are not successful, no money will be taken from backers. 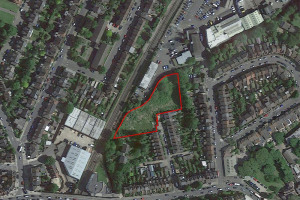 We’ll design and build a single-storey structure on our Church Grove site in Ladywell. 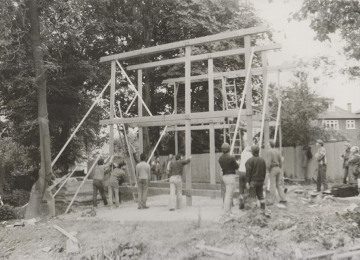 The building will be in use for the duration of our housing project approx. 2-3 years. We’ll create a series of workshops and build-days that can be booked by anyone wanting to get involved. 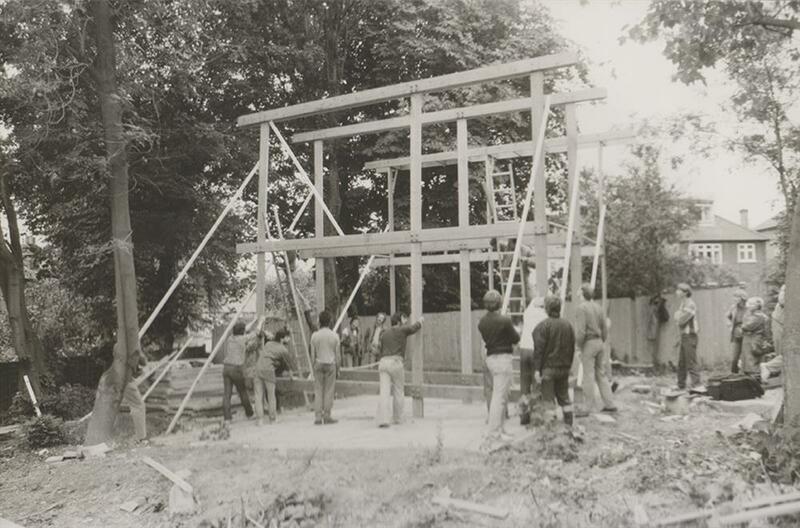 Anyone will be able to volunteer and get hands-on experience building as we build the structure. Working with community partners we will run a programme of talks and workshops in the space once built. The space will be a hub for sharing knowledge on self-building, community-led housing and sustainable building. 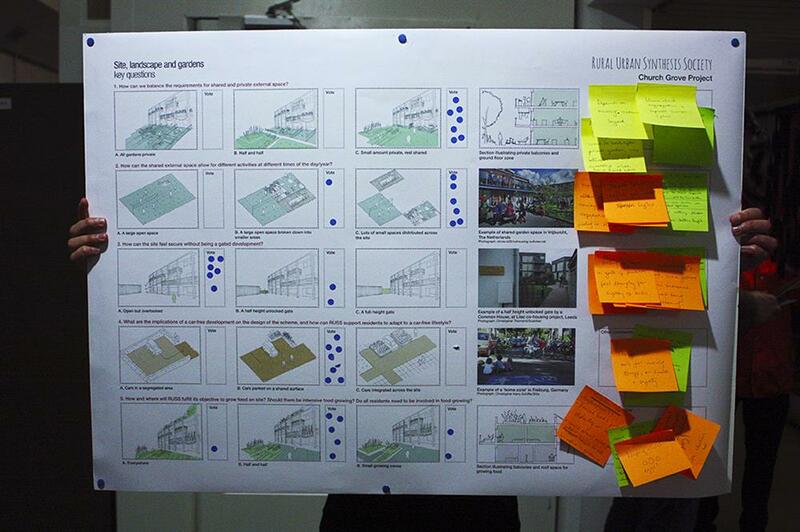 We’ll test out ideas from the consultation in the community space and gather feedback on their success. 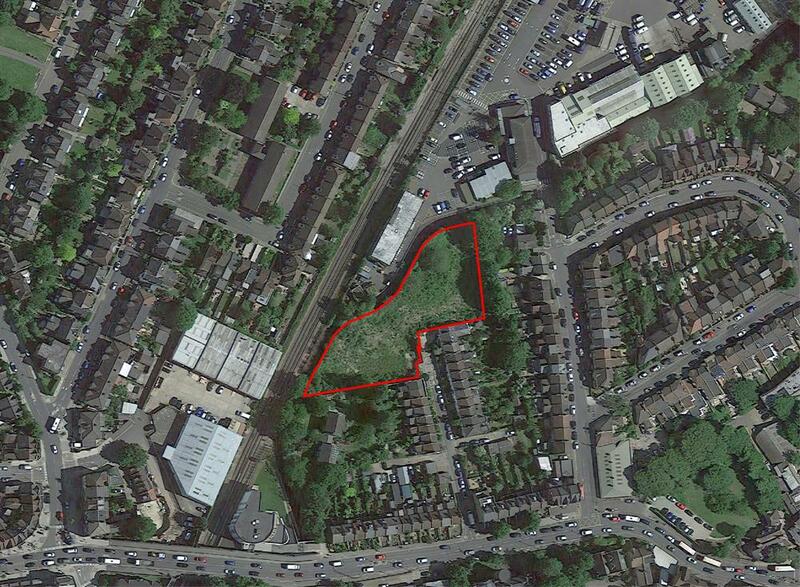 We will work on planning the next phase of the project to secure a permanent facility on the site for community use. 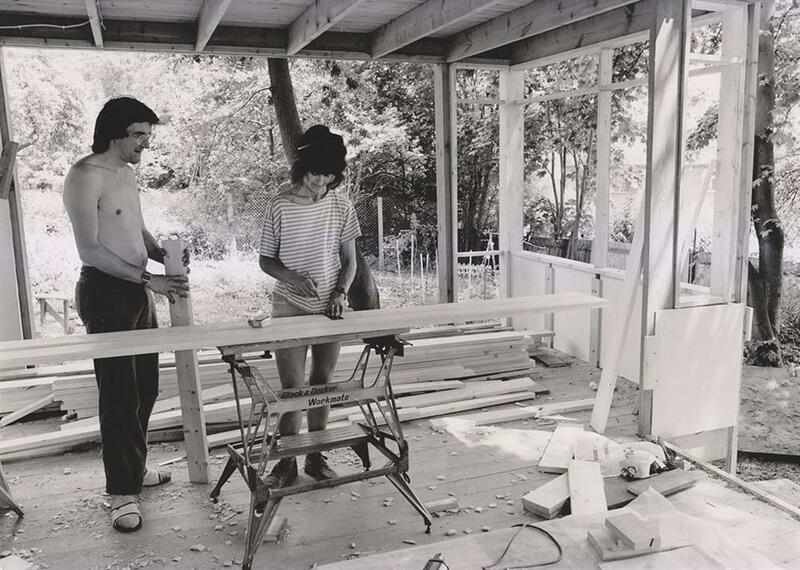 Lewisham has a history of self-build going back to 1985 when Council tenants built their own homes with no previous building experience led by architect Water Segal. 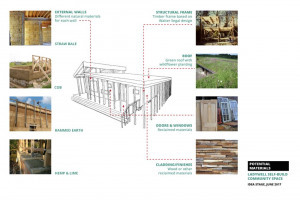 Our self-build community space will utilise the Segal timber frame building method together with natural materials such as timber and straw bale. 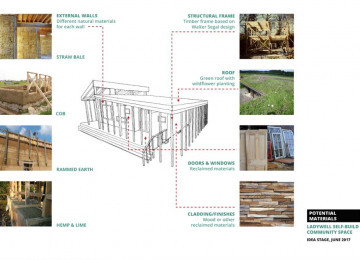 We will source recycled/reclaimed materials locally where possible and will experiment with off-grid technologies such as rain water collection to create an environmentally sustainable, low impact space. 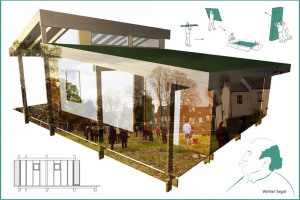 Participants in the construction phase will be mentored by RUSS members, volunteer design professionals and partner organisations that RUSS will work with. Once operational the location of the space will be unique, overlooking RUSS’s Church Grove housing project bringing the hub to life with practical learning on the doorstep. 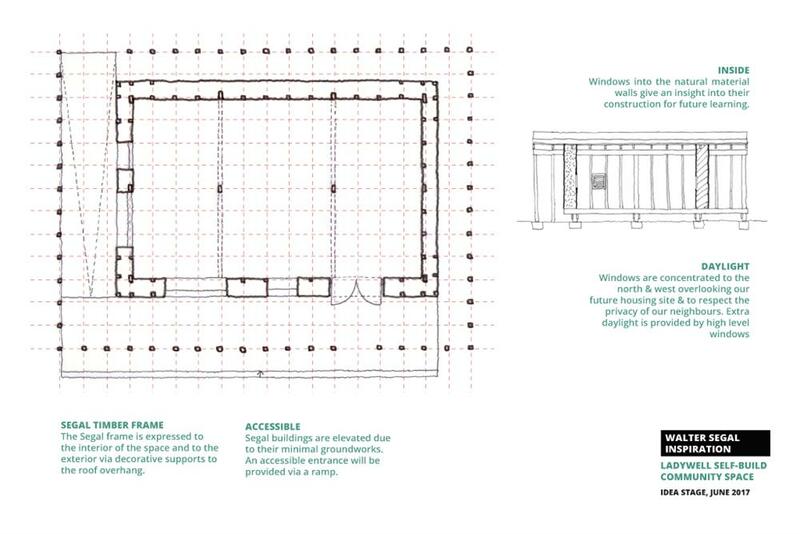 The building will be designed so that at the end of the project, materials can be reused in permanent structures on the site. Make local connections who will partner with RUSS to run workshops and the self-build project. 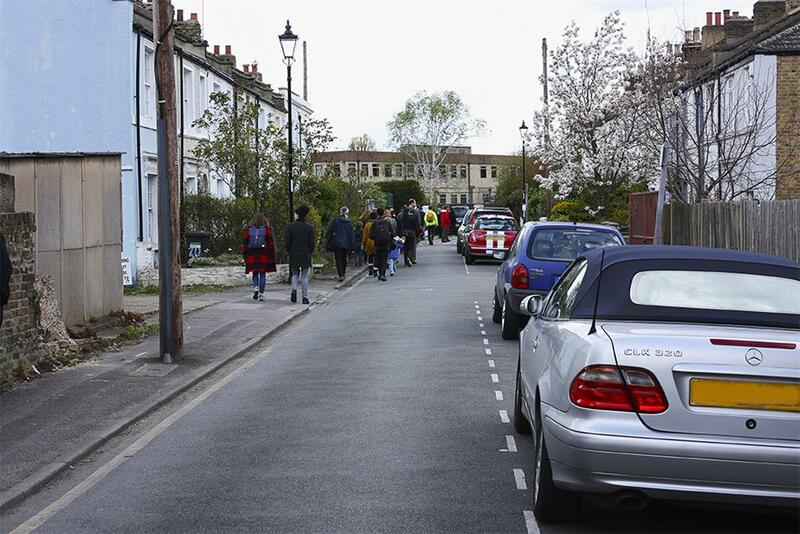 Publicise the construction project and advertise workshops and building sessions that can be booked by the community. 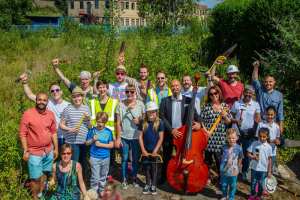 Summer 2018 onwards: The community space is open! A programme of events run by RUSS and partner organisations begins. Thank you so much for all your help and support. 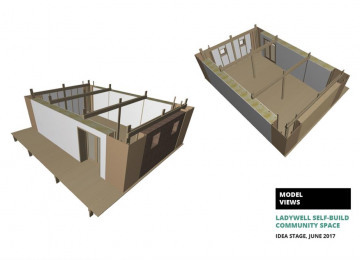 We submitted the planning application for the Ladywell Self-Build Community Space in mid-February and it was validated by Lewisham Council on 23rd March. 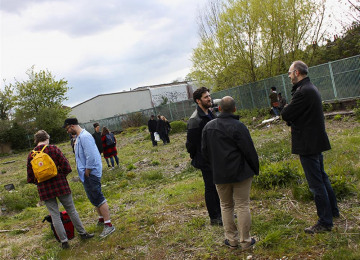 You will make a real difference if you can write a comment in support of the planning application so that we can start self-building the community space by this summer. 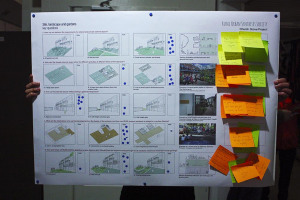 It’s quick and easy to do online: - Visit http://planning.lewisham.gov.uk/online-applications/applicationDetails.do?activeTab=summary&keyVal=_LEWIS_DCAPR_93855 - Register or sign in - When asked for your Commenter Type, click ‘Complainant’ - When asked for your Stance, click ‘Support’ - Write a comment (max 1000 characters). It doesn’t have to be a beautiful or lengthy piece of writing; any supportive message will be a great help. 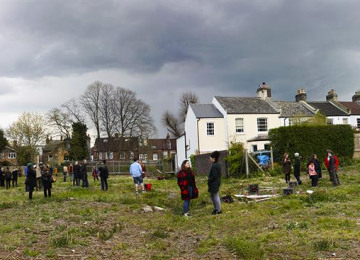 A few pointers about what to include in your comment: - Make sure you include the word ‘support’, e.g ‘I support this planning application’. 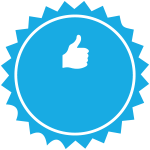 - You could say a bit about what the project will mean for you and the local community. - You could talk about your connection to Lewisham (how long have you lived/worked in the borough). 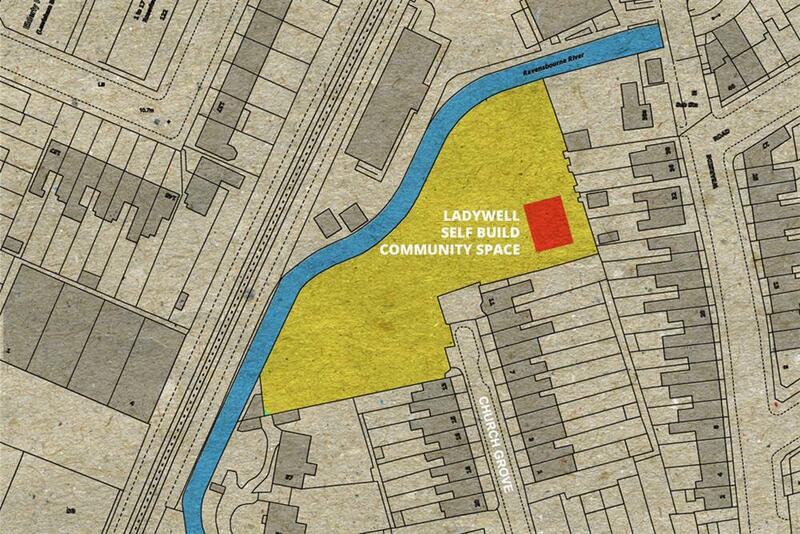 Anyone living in Ladywell or Lewisham Central, your comments will be more valued, but all comments are helpful. 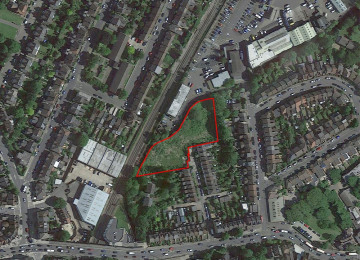 If you have friends or family living near the site, you can also ask them to comment in support of the application. 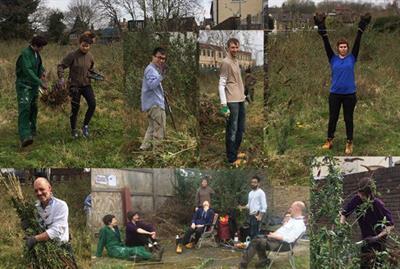 We started clearing the site last Saturday. 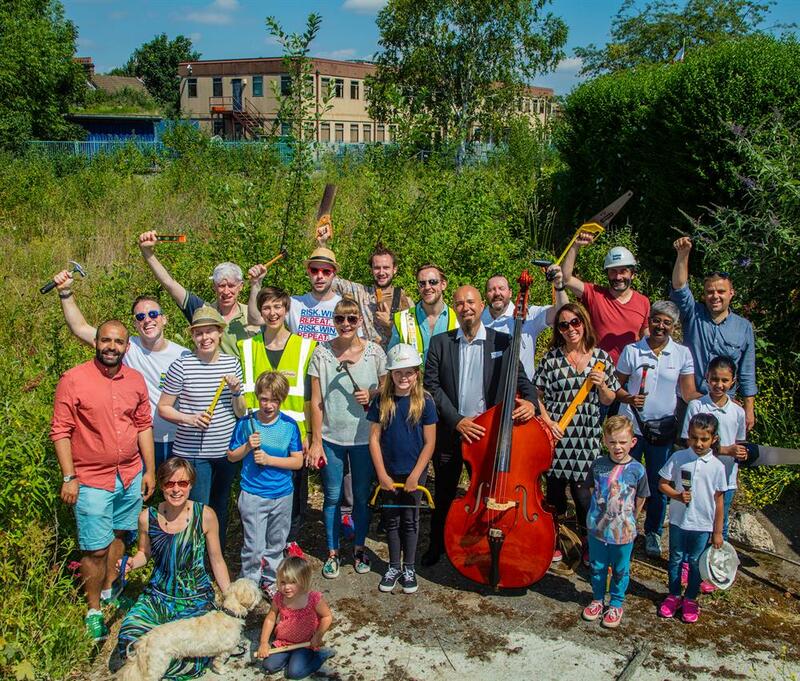 This effort is being undertaken by a group of volunteers forming the RUSS Community Hub, which is open to anyone wishing to join and participate. 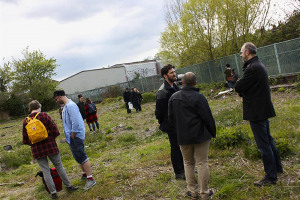 Our project is a wonderful chance to learn and share skills in self-building, as well as ways in which this space could be most useful for the local community by letting other activities and initiatives bloom. 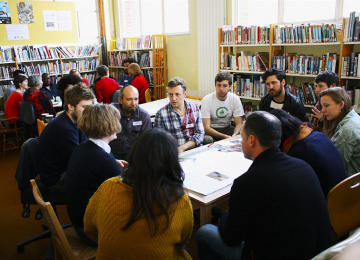 If you wish to get involved, contact sbhub@theruss.org or come to a project meeting. 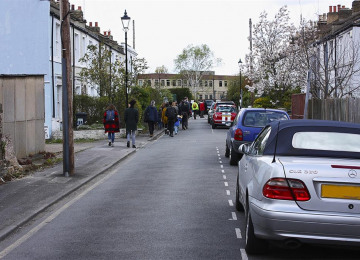 Our regular meetings take place once a month at The Field, 385 Queens Road, SE14 5HD, 7-9pm. 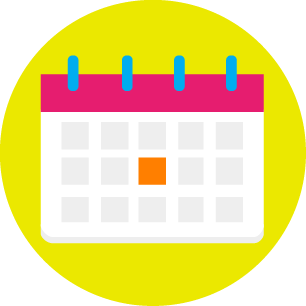 Check our calendar for meeting specific dates and other activities: https://www.theruss.org/getinvolved/calendar/ We hope to see you soon! Whoop, 330 people have pledged since fundraising began! 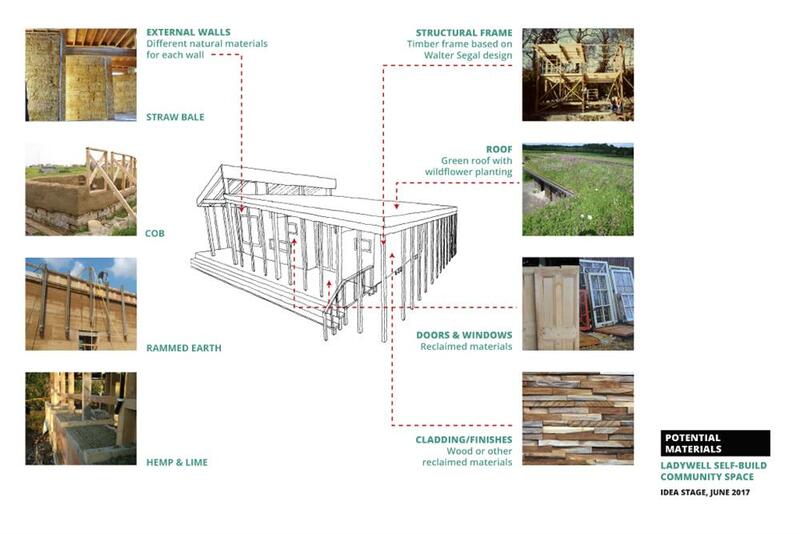 Natural materials: Such as straw, cob, material suitable for use in rammed earth structures, lime render. Tool and equipment loans/discounted hire would be very welcome as another way to support the project. 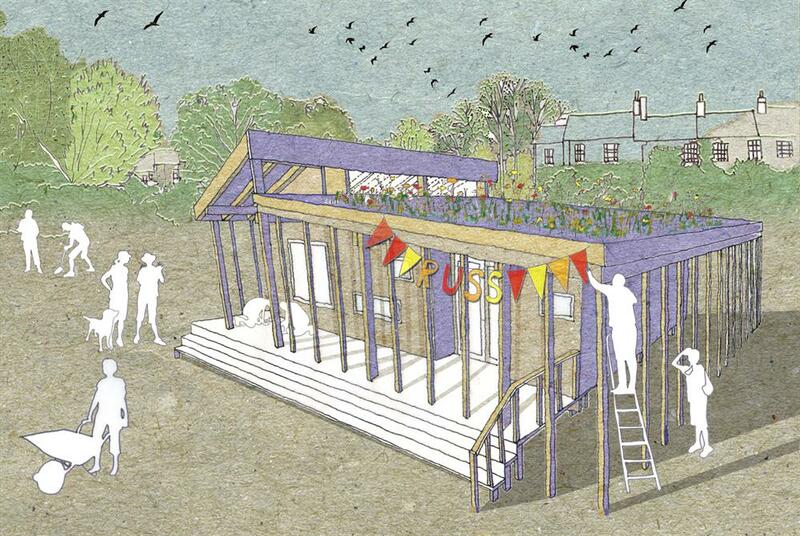 To deliver the self-build community space, RUSS will be teaming up with other organisations and individuals. We’re looking for volunteers to help us run workshops, teach skills and manage the construction of the self-build community space. 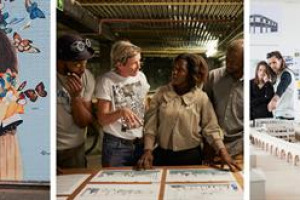 We’d also love to join with organisations/people who run workshops on sustainable technologies, especially the DIY kind such as solar panels, rainwater harvesting, off-grid electricity generation, compost toilets etc. 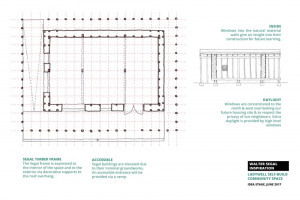 We will need to store materials securely, whether on site or nearby. 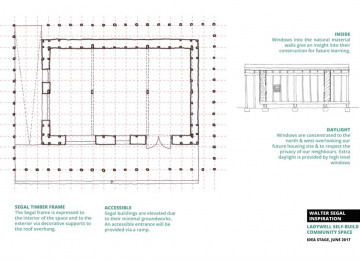 We would welcome access to a facility to store materials close to Church Grove or donated or reduced rates for onsite storage such as a shipping container. £500 budget to buy power tools for shared use by RUSS and by “little house in garden” projects of Time4homes (proposed time bank, of which more later). 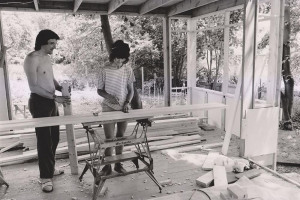 I live locally and could lend a hand with building the project on a Saturday or Sunday. It would be great to contribute to a local project like this and learn about building in the process. I work full time as an administrator in an architectural practice. A collection of power tools from a generous donor including circular saws, sander, planer and drills. The Rural Urban Synthesis Society (RUSS) is a members-led Community Land Trust based in South London, founded in 2009 with the aim of creating sustainable community-led neighbourhoods and truly affordable self-build homes. 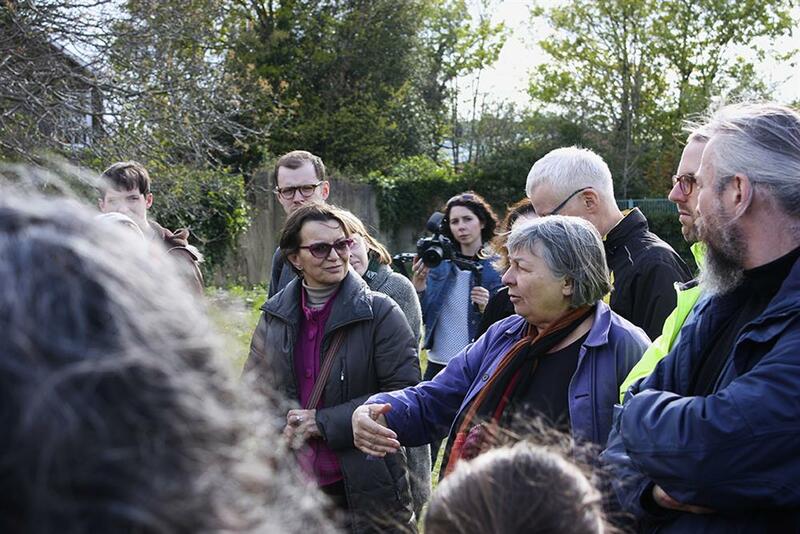 RUSS is guided by ten principles that were developed by the local community. These principles embed an ethos of affordability, sustainability, self-governance and community engagement into everything we do. Governed by a board of Trustees, our work is delivered by our members mainly through weekly members’ meetings. 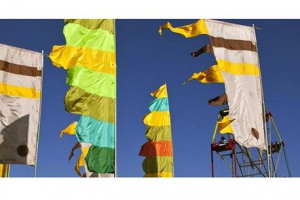 RUSS is registered with the FSA as an Industrial and Provident Society for the Benefit of the Community (30624R) and is an exempt charity registered with HMRC (XT18342). 2016 was a landmark year for RUSS: after a long members-led campaign in 2015 and a successfully public procurement process, we signed a Development Agreement with Lewisham Council in April 2016 for a ‘community-led, affordable, self-build housing development’ in a derelict former school and industrial site at Church Grove in Ladywell, South East London. The project will provide 33 new sustainable, customised, high quality homes that are permanently affordable and partly self-built in order to reduce construction costs. 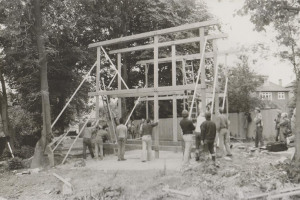 It will also design in opportunities for training in construction for self-builders as well as apprentices and volunteers from the wider community. 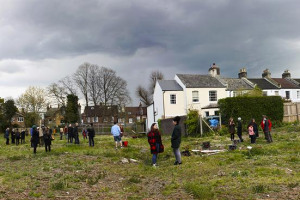 The project will contain a range of houses and flats of different tenures, sizes and levels of self-build in order to create a truly mixed community made up of people from diverse backgrounds in the local area. One of RUSS’s principles is that residents should have input into the major decisions that will frame their living environment. They have been involved in the design process through a series of co-design sessions from May 2016 to March 2017 led by the architects Architype and Strategic Advisors and Self-Build Facilitators Jon Broome Architects. After each session decisions with the relevant material were assembled to form a ‘Design Menu’, which has been used to elaborate the final Design Brief. We aim to begin building in 2018 and complete the project by 2020. Project Delivery Manager: Rural Urban Synthesis Society The Project Delivery Manager takes legal responsibility for receiving and spending the funds raised and ensuring the project is delivered.